Blended PV Yarns that we offer are widely acclaimed for their quality by the clients. 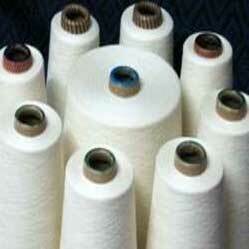 The Blended PV Yarns are thus highly demanded for manufacturing garment and home furnishing fabrics. Blended PV Yarns that we offer are made using advanced spinning and conditioning machinery. Available in different counts and blend ratios, the Blended PV Yarns are competitively priced.